On Thursday night September 13, 2018 the City of Riverside Fire Department along with the Riverside Police Department and AMR responded to multiple reports of a traffic collision with people trapped in the City’s La Sierra neighborhood. 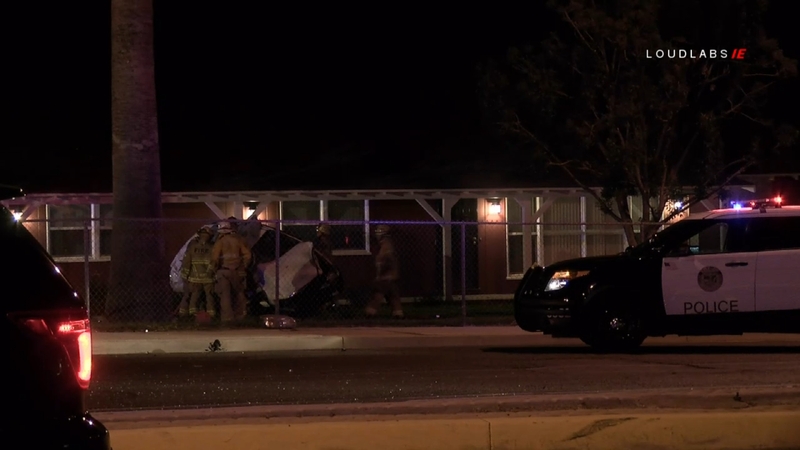 The crash was reported around 11:26pm at the intersection of La Sierra and Cypress Avenues. The first arriving engine company reported a two vehicle crash, both overturned on their sides, and one up against a home. One person was transported in unknown condition to an area hospital. Unconfirmed reports indicated a second person was declared deceased at the scene. The cause of the crash is under investigation and the Intersection is expected to remain closed while Police conduct their investigation.